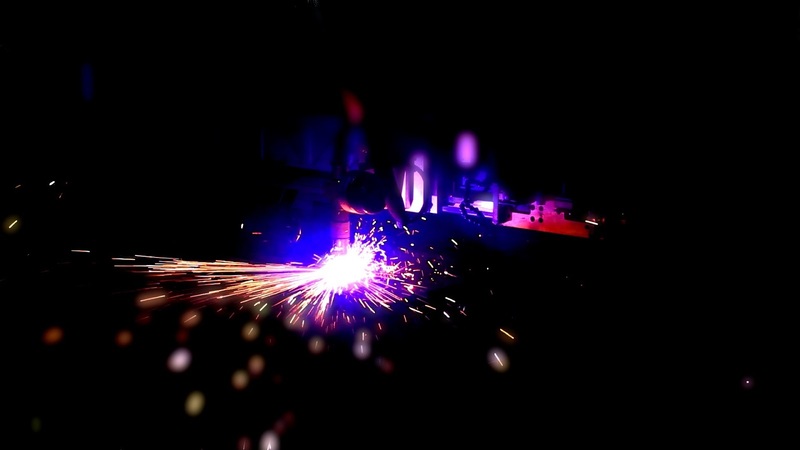 In the wake of an economic downturn and recovery, plasma - like the manufacturing industry as a whole - needs to change and adapt. To find out what particular challenges the industry's facing as it seeks to do so, we talked to Hypertherm's president, Evan Smith. FAB Shop: What's the state of the plasma industry right now? Smith: Well, when I think about the plasma market, I tend to think about it as part of the steel fabrication or steel cutting industry more broadly. The wider steel fabrication capital equipment market is generally healthy, but it's mixed by global region and by industry. And now that we're past the Great Recession, and also the immediate recovery, it's kind of a more mixed economic environment for investment and fabrication equipment. The decision makers are still cautious. We're seeing equipment usage up. There's evidence by consumable demand, but I'd say that with the actual demand for equipment itself, we still see a fair amount of postponement in the industry. Light industrial demand is up, but the investment threshold is also lower. Out of the three technologies - plasma, waterjet and laser - waterjet is probably the strongest right now, but plasma is holding onto its share in the product marketplace. FAB Shop: What challenges do you see the plasma industry needing to overcome as it moves forward? Smith: Like with most cutting technologies, there's the skilled workforce shortage. We find a lot of end users operating sub-optimally, so there are the issues of operator training and system optimization. A lot of end users are unaware of technology upgrade opportunities, too. I think also, for plasma in particular we see automation and material handling being an area of less development. Plasma is by far the most productive and cost-cutting technology available for most high-volume plate cutting applications. But in terms of overall automation, we see that further development needs to be made there. FAB Shop: What would you say that development will entail? Smith: Well, naturally, the development focuses on the cutting process itself. So, for example, it would mean making plasma cutting faster, more cost effective, higher quality, more precise and so forth. We also see a lot of development need being in the software, in the control and in the whole upstream and downstream process integration with the actual cutting. FAB Shop: How else to you see the plasma industry needing to change and adapt over the coming years? Smith: I think more application focus versus system focus is going to be an important requirement, as well as focusing increasingly on service levels and advisory relationships, which will help customers address the issue that I mentioned earlier, of operating sub-optimally and not being aware of the technology and the upgrade potential. I think we'll also see more flexible in-sourcing and outsourcing among customers, and more emphasis on total lean operations. In building those customer relationships, I think we'll need to go beyond the equipment or system performance itself and increasingly look at life cycle for the customer, in order to gain an understanding of what they're trying to accomplish in their applications. This way, we'll be able to deliver those particular applications in better and better ways. I think other fields in the steel fabrication industry are simply more connected and smarter in terms of software and automation development. They're able to address the issues of self-monitoring and self-optimization, and thus also the shortage of skilled workers. Plasma needs to follow suit. In the near future, I would expect that plasma systems will be more connected, perhaps through the cloud, and more application optimized. Broader application capabilities will allow plasma to enter new spaces that have been previously dominated by other cutting technologies. And following the trend of digital factory, the plasma system itself will provide more information and intelligence into total factory management systems and processes. Right now, as an example, Hypertherm controllers can monitor certain parameters of system performance and often allow remote connectivity through the Internet. This is how we facilitate the information flows to partners and to Hypertherm in order to allow value added services. FAB Shop: To summarize, where do you see the plasma industry in five years? Smith: Well, its a little bit like the last 20 years. Certainly, plasma technology will continue to improve. It will increase in speed and precision, have a better cut quality , be more repeatable and have a lower cost per foot or linear cut, but I think you're also going to see an expanded application space for plasma as we continue to push particular adaptations and optimizations of the technology. I would expect to see smarter and more connected machinery, as we've discussed - machines that are self-monitored and more able to operate without human intervention. We're also pushing greener technology, and we think the industry and equipment will become cleaner and greener in terms of its footprint and its impact on the environment. I think we'll see systems - as we've talked about - with increasingly more sophisticated software and and control technology. The plasma system itself will become more integrated for particular application, and we'll have more embedded process intelligence. And as process intelligence evolves, we'll probably see self-teaching or self-learning systems. Article from FAB Shop Magazine.